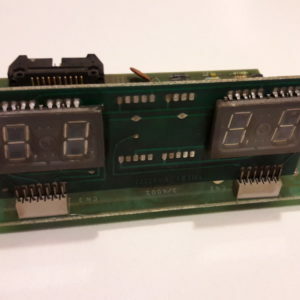 This tester will help you to quickly and easily test your Bally/Stern & Zaccaria displays. 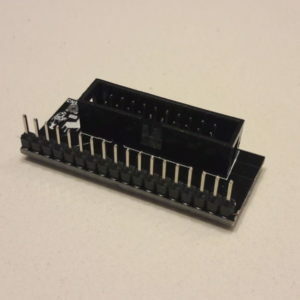 How many times you have been dreaming of an automatic tool which would run test animations on your displays without having to use an original MPU or a manual dip switch to send basic combination to the display decoder? Your dream has become true with the new PinballSolutions display tester. This is an automatic tool which runs 4 different cycles of tests in order to test all combinations and segments of your plasma or LED Bally/Stern/Zaccaria displays. This tester is compact and easy to use, you just need to plug it on the J1 header of the display (for Bally/Stern) or connect it to a 20 pins flat ribbon cable (for Zaccaria) and provide the power. – For old plasma displays you must provide the HV from an external power source in addition to the USB power. 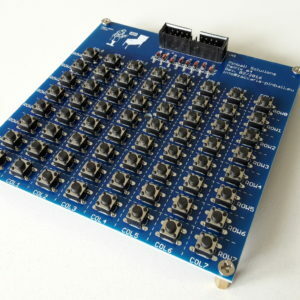 This tester is portable and can be used wherever you want, if on LED displays, as no HV is needed. A 2 pins 3.96mm (1.56 inches) male/female header is provided in order to help plugging the HV for the correct functioning of the original plasma displays. 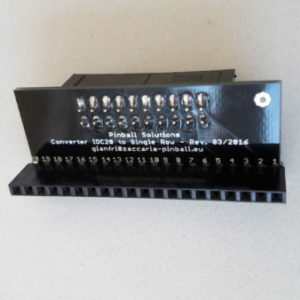 This tester is sold already assembled and tested. – An USB power cable.